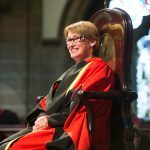 In recognition of her academic leadership and to honour the important intellectual and research ties that bind the two universities, McGill Principal and Vice-Chancellor, Professor Suzanne Fortier was awarded an Honorary Doctorate by the University of Glasgow during Commemoration Day Ceremonies today in Glasgow. 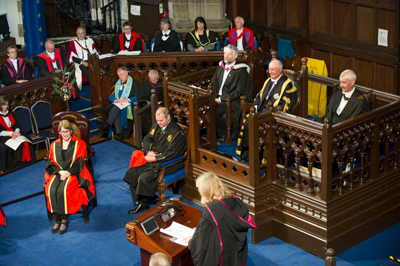 The ties between McGill and Scotland are in evidence all around campus, be it the granite benches in Visitor’s Square that were quarried in Scotland, near Aberdeen, and prepared by Fyfe Glenrock of Aberdeen; the ceremonial mace used during Convocation ceremonies that was created at the School of Design in the Edinburgh College of Art, or, of course, the iconic statue of University founder James McGill, himself a proud Scot. 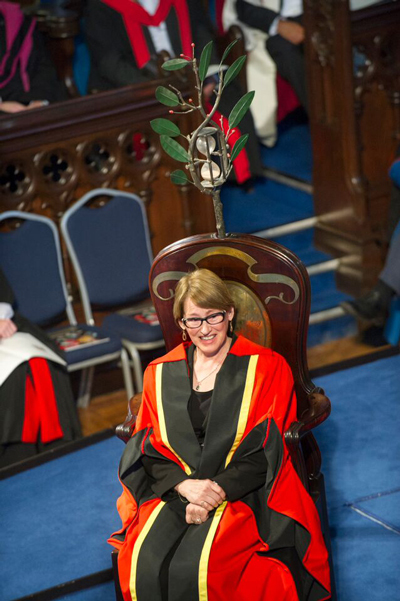 Those ties will be even more evident every time Principal Suzanne Fortier walks through the campus. 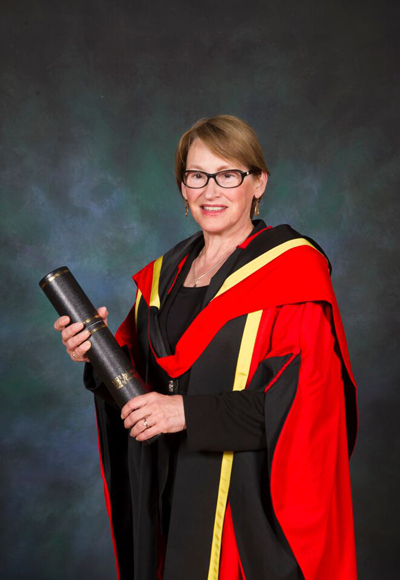 Earlier today, in recognition of her academic leadership and to honour the important intellectual and research ties that bind the two universities, Prof. Fortier was awarded an Honorary Doctorate by the University of Glasgow during Commemoration Day Ceremonies in Glasgow. 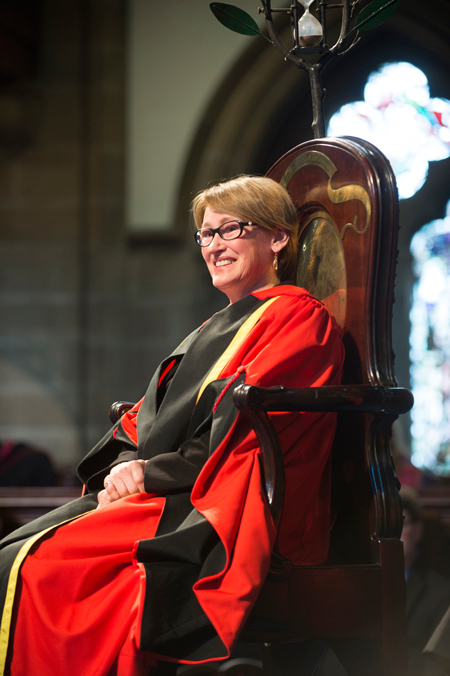 “We are delighted that Professor Suzanne Fortier has agreed to become a Doctor of the University of Glasgow. 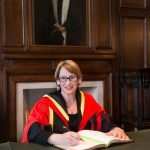 She is not only a distinguished scientist in her own right, but she is also an outstanding academic leader, most recently as Principal of our U21 partner, McGill University,” said Professor Anton Muscatelli, Principal and Vice Chancellor of the University of Glasgow. 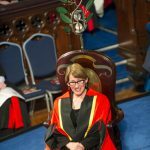 During Prof. Fortier’s visit, she and Prof. Muscatelli will sign an institutional Memoranda of Understanding (MOU) that will support a variety of planned and existing collaborations and initiatives between McGill and the University of Glasgow. 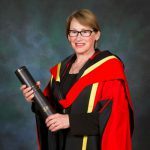 Prof. Fortier previously received honorary degrees from Thompson Rivers University in British Columbia in 2006 and from Carleton University in 2014. 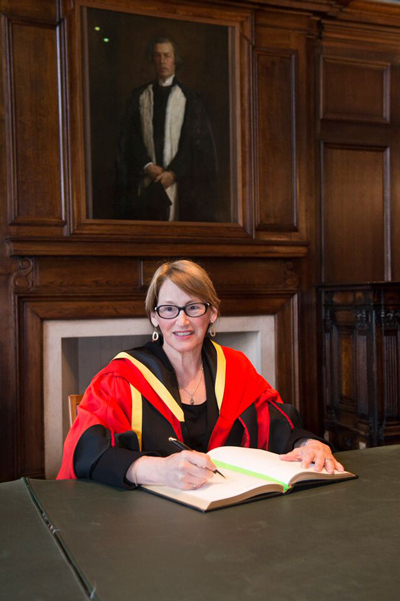 This is a wonderful recognition of both Suzanne Fortier as a person and a scientist – and also highlights the past and present connections between our universities which I had not known about. 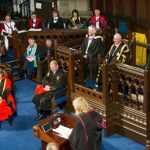 It also means that this honour will be translated into future collaborations – hence an honorary degree becomes a document not only of past achievements but also one expressing future bonds.